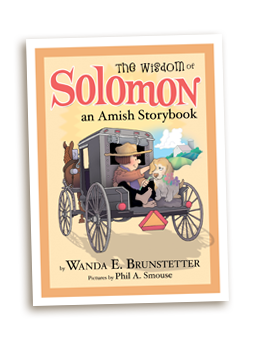 Your children will love this delightfully written and beautifully illustrated storybook about a young Amish boy named Solomon Lapp and his sister Sara.Growing up amid the beautiful rolling hills of Lancaster County, Pennsylvania, the children encounter everything from dark, dancing shadows to loose chickens, quilt-eating goats, and mischief-making siblings. From one adventure to another in twelve intriguing chapters, Solomon and his friends learn life lessons about courage, brotherly love, helping, obedience, kindness, and more. This enchanting storybook will not only entertain but inspire, teaching children Christian values and the wisdom of God. Written by Wanda E. Brunstetter. Illustrated by Phil A. Smouse. One of the things that captures my heart the most when we visit our Amish friends is spending time with their children and grandchildren. What child hasn't thought he has all the answers or is wiser than his parents? Like most other children who live in the rolling hills of Lancaster County, Pennsylvania, my Amish friend's children are full of adventure and love to have fun. For this reason, I decided to write The Wisdom of Solomon, and also to help children learn about God, prayer, refuge, brotherly love, courage, and kindness. "The Wisdom of Solomon is definitely a book that will appeal to boys and girls and teach them a lot of valuable truths along with a Bible verse that could be used for memorization. I highly recommend this book. It would be perfect in church libraries, for use in children's church, and as a gift for your favorite child(ren)." 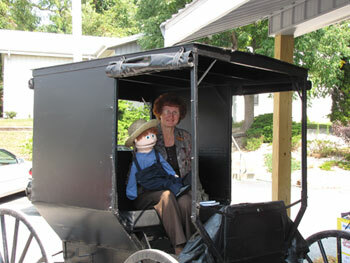 "Each short story, set in the Amish community, is formed around a Biblical verse and principle. The stories are interesting and the illustrations fun. We need more books that encourage practical Christian living. A book I can't wait to share with my grandkids." "The stories are a nice length for children of all ages. Short enough that a very little one can manage to sit through it, yet there's enough action and length to keep older children engaged. With wonderful, cartoon-like, colorful illustrations by Phil A. Smouse, this book will delight children of all ages. A terrific addition to your picture book shelves, I see this as a storybook that will be read over and over again."